Sports enthusiasts enjoy the Olympic games whether they are held in the winter or in the summer. For those that do prefer the winter events, there is a set of common winter sports that are showcased during this event. What adds to the excitement of the winter Olympic sporting event is that it is held in different countries. It is an event that takes place ever four years. To date, the following countries have hosted this event. Some countries have had the honor of being a host more than once. There have been many changes that have taken place in the Olympic Winter Games over the years. For example, in 1967 drug testing protocols were enacted. One of the most significant changes has been the addition of different winter sports which has greatly expanded the entire event. Another big aspect that makes the winter Olympics so enjoyable is the number of events that are held for the various sporting categories. Speed skating has the most with fourteen. The Skeleton and Ice hockey have the fewest with two each. 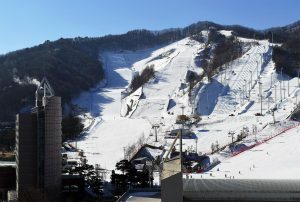 There are many different countries whose athletes participate in the winter Olympics. The coveted goal is to see which country can claim the most medals. This varies from event to event. It also depends on how many events the country is participating in. The Winter Olympics serve as an important springboard for many athletes aspiring for greater achievements.